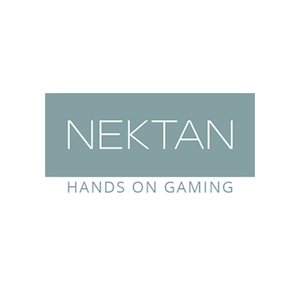 A cash wager increase of 22% year-on-year has helped Nektan to set a new quarterly profit record of £8.6 million for the 3 months that ended on the 31st of December 2018. This represents an increase of 83% on the £4.7 million posted in the Q2 of their financial year for 2017, and a jump of 28.4% on the £6.7 million it generated during the Q1 of the current financial year. Their B2C white label managed casino solutions have stayed their main source of income, with net gaming revenue from this sector up 31.9% year-on-year, totalling £6.2 million. New white label casino partners launching, including the Shipley brothers amusement arcade operator, boosted this sum and improvements made to their technology platform. These included a new Partner Request Console and Content Management System. However, player win amounts that were higher than expected and bigger bonuses lead to a decline of 3.1% quarter-on-quarter in B2C NGR, and this total is down from the Q1 total of £6.4 million. Elsewhere, the company’s B2B Platform and Distribution business received a boost thanks to 4 new operators launching in the Q2, including 1XBet and BetVictor. This move increased its partner portfolio to 10 companies. Thanks to more players being able to access its platforms, B2B gross gaming profited skyrocketed by an incredible 700% year-on-year, reaching £2.4 million. This expansion in their client base assisted in pushing amounts that were bet up to £222.5 million across all of Nektan’s platforms. This constitutes an increase of 74.1% on the £127.8 million wagered last year and 22% on the £182.4 million in the Q1 of the current financial year. Thanks to its performance improving so drastically, Nektan is anticipating that its European earnings before interest, tax, depreciation, and amortisation will equalise by the end of the financial year on the 30th of June 2019. This is very good news for the company, which revealed last week wider losses for the year ending on the 30th of June 2018, besides a year-on-year hike in revenue of 51.5%! Lucy Buckley, Chief Executive for the company as of December the 3rd 2018, stated that the Group’s record-breaking quarter has highlighted the significant enhancements their technology has undergone. She said that it also spotlighted the fact that Nektan is becoming a more established business that is well on track to turn a profit in their core European business by the time this financial year draws to a close.